It’s interesting how the simplest things can have the most profound effect. 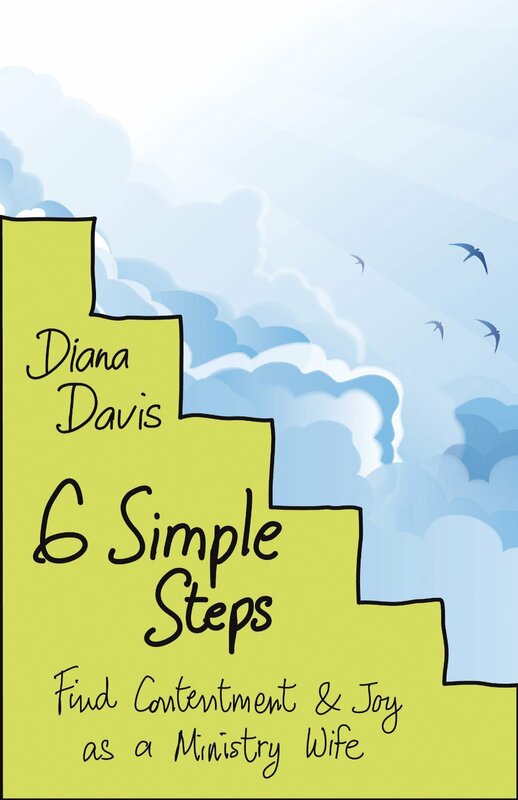 Diana Davis’ new book 6 Simple Steps: Finding Contentment and Joy as a Ministry Wife published by New Hope offers a fresh look at life for a minister’s wife. Women serving alongside any type of minister will benefit from the principles taught. While those new to the ministry will particularly benefit from the book, veteran ministry wives will find encouragement, inspiration and fresh ideas. Simply smile. The Holy Spirit produces joy. Davis notes that a pastor’s wife helps set the pace for joy in a church. Joy is a choice. The chapter includes tips on making memories and carrying on conversations. Love lavishly. The Holy Spirit produces love. This chapter offers many ideas on how to show love to our husbands, love other women leaders in the church, staff wives and the community God has placed us in. Say “We”. The Holy Spirit produces kindness. Davis writes, “When a ministry wife grasps the “we” aspect of her marriage, family and church, she loses any semblance of selfishness and performance.” Powerful advice! “We enhancers” abound in this chapter. Be resilient. The Holy Spirit produces peace, patience, gentleness and self-control. Trials and troubles of ministry will come. Davis offers help on how to respond in a godly fashion, reduce stress and conquer loneliness during those rough seasons. Serve passionately. This outstanding chapter will help women find their ministry while leaving room for those things that only she can do. Tips for public speaking and personal evangelism are included. Each chapter is full of personal stories, Scriptures, teachings and quotes from various ministry wives. 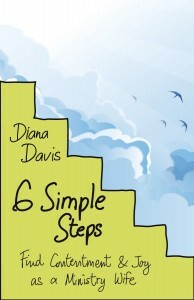 At the end of each chapter, Davis offers pages of fresh ideas to incorporate and take action with each step. There is also a group study guide at the end of the book. At first glance, I thought the book would be basic and a quick read, but I found myself slowing down to take in the valuable truths. As Davis suggested, I marked it heavily, making notes for the ideas I wanted to incorporate into my own life so I could go back and review. The book can almost be used as a handbook. While the concepts are simple, they are ones that make a lasting impact. The book encouraged and reenergized me. It reminded me to appreciate the unique call on my life. It encouraged me to relish every opportunity. Do you need to make some adjustments to your life as a ministry wife? Do you desire to maximize your influence? Add 6 Simple Steps to your summer reading list. Allow Davis’ words to reaffirm God’s call on your life and reignite the passion for the position God has placed you in.